This month's challenge was something wearable. 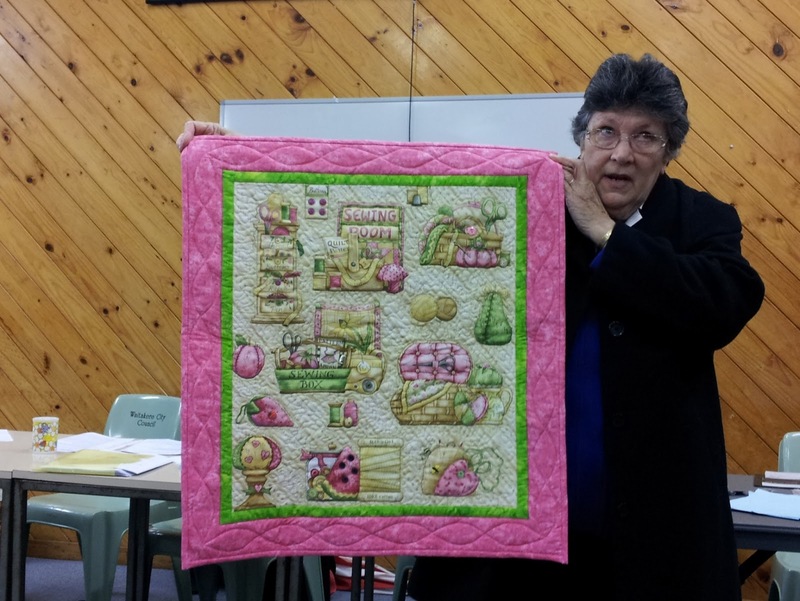 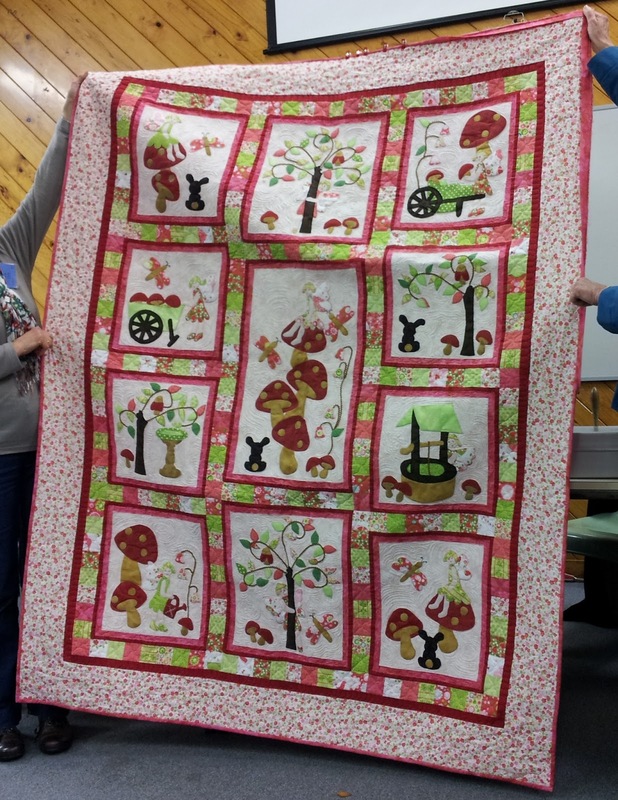 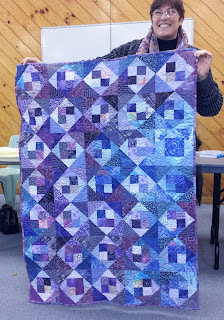 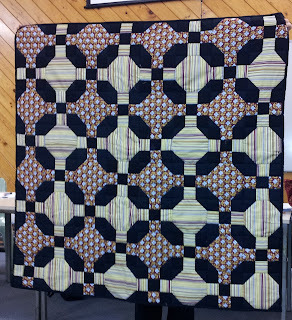 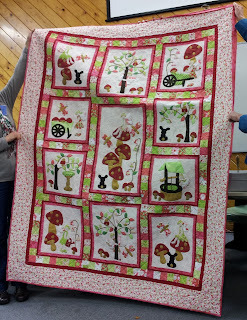 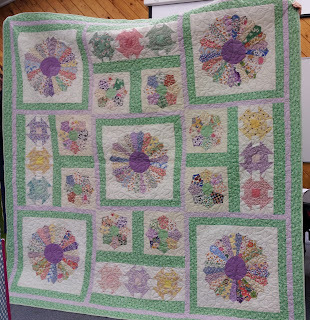 Jan made this quilt using blocks her mother had made. 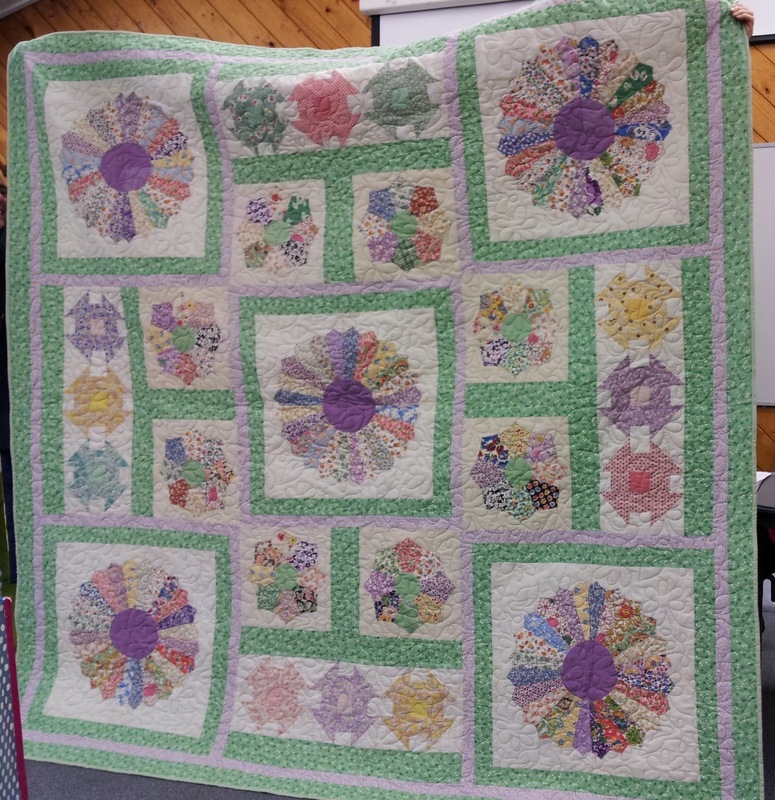 The above 2 from Jan.
Sybil made this pretty quilt for her grand daughters to share. 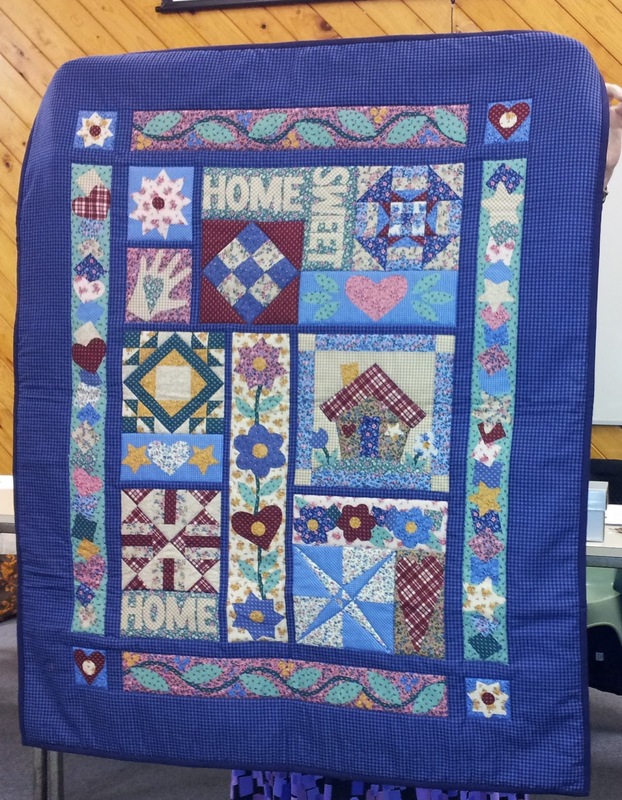 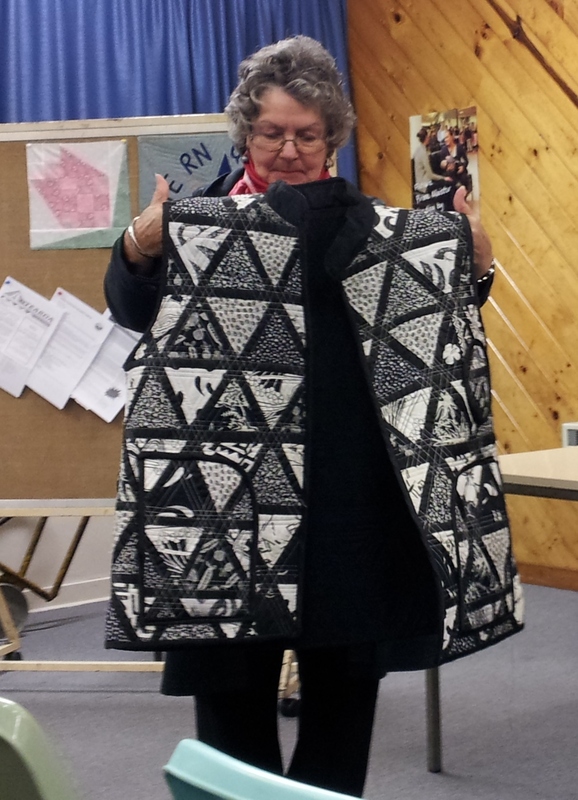 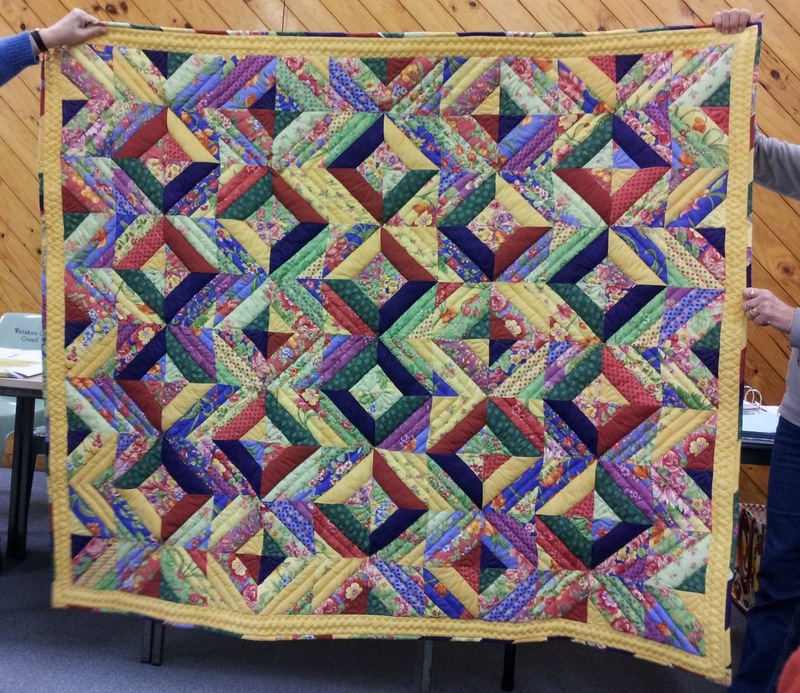 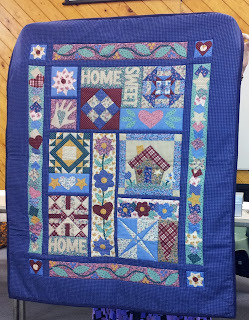 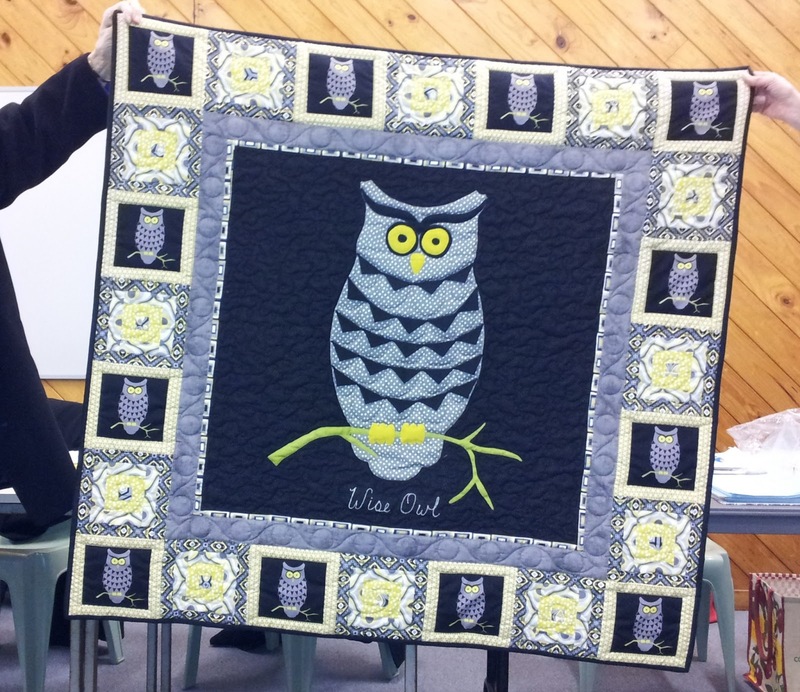 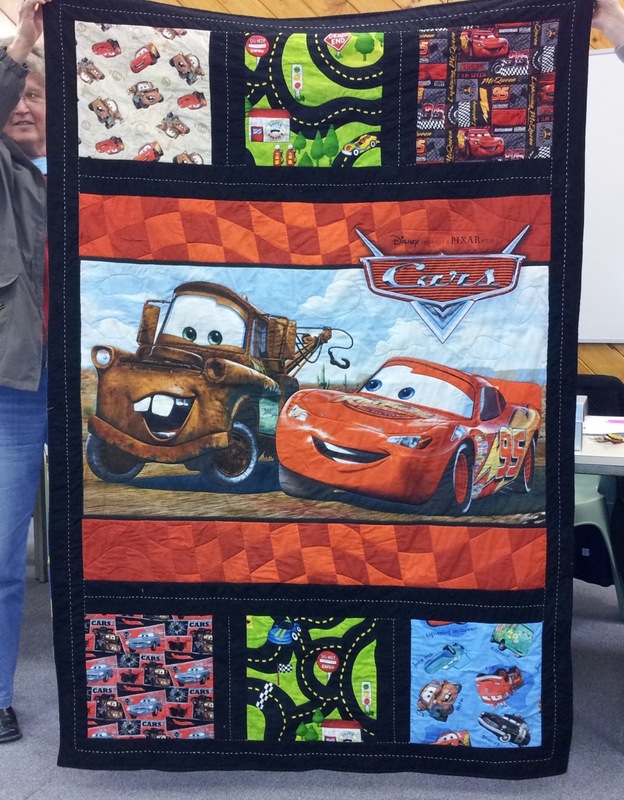 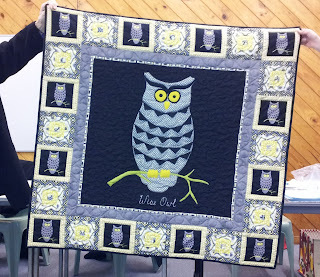 Val quilted this community quilt beautifully. 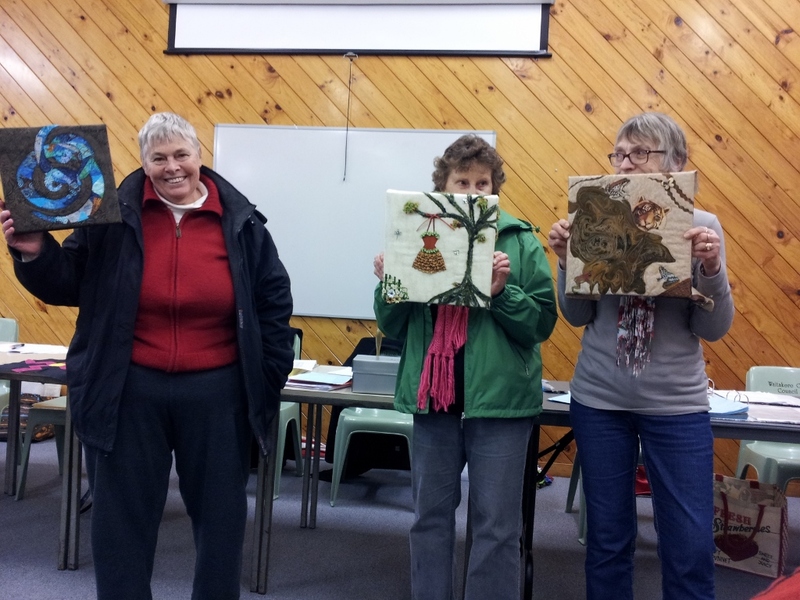 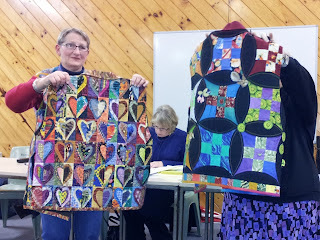 The ladies who showed these 2 quilts hid behind them.